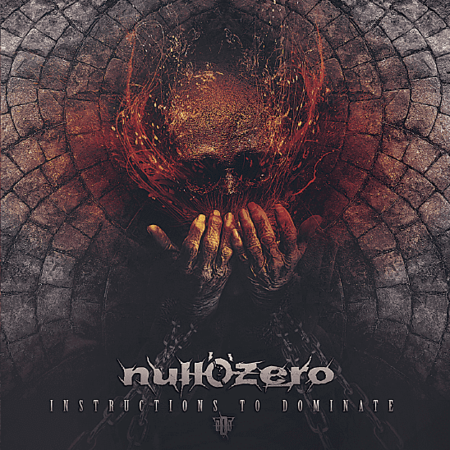 “Instructions To Dominate” is the second album from Greek metal band Null’o’zero and it was released on 13th July by ROAR! (Rock Of Angels Records). The band delivers a heavy-hitting metal album with powerful vocals and big, soaring guitar riffs; whilst keeping it “melodic” enough to appeal to a wider audience. The track “My Last Disguise” will be included on The Friday NI Rocks Show this week (27th July). Null’o’zero formed in Athens in 2012, citing their influences as Megadeth, Symphony X and Metallica. The set out to play “contemporary aggressive music …with technical and melodical riffs”; combining melody and aggression. A five track EP called “Under Blood Red Sky” was released in 2012. Following the departure of the original singer and one of the guitarists in 2013, the debut album “The Enemy Within” was released in 2015. The band’s line-up has remained unchanged since 2014 with Geo Sinner on vocals, Elias Andritsos and Aggelos Kokkorogiannis on guitars, George Del on bass and Lefteris Moros on drums. The track “Until The End of Life” features guest appearances by Thimios Krikos on guitar and George Georgiou on piano.